What are the best business translation companies? Last updated December 20, 2016. English to Spanish used as control language pair. Translation agencies can provide many different translations services depending on the client's needs and the translator's experience and availability. Translation services are, simply, services provided by a third party to translate your text from one (source) language into another (or multiple target languages). This is a broad term that can describe everything from a private translator working one on one with a client, to using Google Translate for automatic (machine) translation, to working through a translation agency for full-service, professional document or software translation. Many translation service providers tend to keep things "under wraps" and hidden from the client until after filling out a quote request form. Those who put pricing and services and other information up front—in other words, with nothing to hide—seemed more trustworthy, low-pressure, and more reliable. These providers boasted a large number of translators and services provided, but generally offered only a simple text input or generic file upload form, making it difficult to determine just what they can handle. Some of the more automated services made nearly everything public, including translator profiles, making the quality and scope of service much easier to determine at a glance. Additionally, many also heavily promoted their purported technology and breakthroughs, such as customized crowdsourced solutions and APIs, seemingly relying heavily on the "wow factor" of buzzwords to win appeal over actual quality of service, often with only a handful of client testimonials or logos implying a relationship with major corporations and brands. Translation agencies and translation service providers who focused on translation services as a product, rather than a problem to solve, tended to have better results. What makes the best translation services? A number of factors go into determining which translation service provider ranks above another. Chief amongst those is support—if you don't have good customer support, either through individual account managers, a knowledgebase and tutorials, or other means, you will have big trouble. Services offered is also very important. While focus on only narrow offering of services may seem on the surface to indicate strength in those areas, it can also suggest a smaller pool of qualified translators who may not be able to handle special cases and formats. And an agency that offers only document translation isn't going to be of much use once that same document requires certification. Other elements, such as the age of the company, the number of employed translators, and so on, also factor into the overall rating as well. 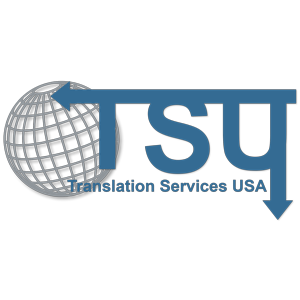 Weighing all the information above, for a well-rounded experience Translation Services USA can't be beat as far as services provided, pricing, and support offered, particularly for those looking for high-quality, professioanl translation. For those looking for a simpler, faster option, mostly-automated translation services like Ackuna and Translation Cloud can provide fast and easy results at very low prices, with only a small trade off for quality and support, due to their machine and crowdsourcing features.